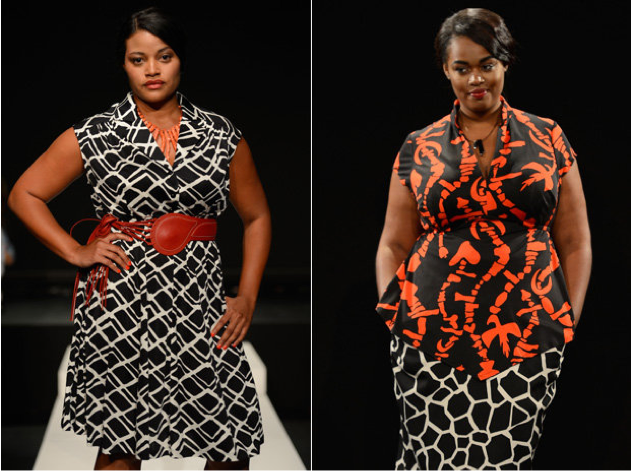 Last week, Project Runway judge Tim Gunn lamented to the press how appalled he was at the state of plus size fashion. Not because he dislikes it, but because he wants designers to make more of an effort to create something that is actually fashionable and wearable. Enter designer Eden Miller, New York native, whose clothing line Cabiria became the first Plus Size show in New York Fashion Week history to grace their famous runways. Cabiria, named after the 1957 Federico Fellini film, “Nights of Cabiria” was only launched in April 2o13 after raising $13 000 in a Kickstarter campaign. The line is catered to women size 12-24, and while it was still pretty new to the scene, Miller’s inspirational reason for designing enabled her to take this venture beyond just another clothing line. 41 year old Miller, who has been designing for 25 years told Today.com how excited and nervous she was at the same time. From being a relatively unknown brand to showing off her creations on the world’s biggest stage in a matter of months is not something to be scoffed at. “Part of it is a responsibility that I feel to make space for other relevant, worthy plus-sized lines to come in the door and show as well,” she said. Well apparently the market is starving for more plus size fashion, which currently only makes up 14% of the market share. That’s a pretty dismal number in our books, it’s no wonder plus size fashion bloggers are so popular. Curvy women are so damn sick of finding nothing that suits the real woman’s figure, these bloggers have become influencers and trend setters in a growing market. In July Eden was approached by the Fashion Law Institute — a non-profit organization which advises and supports talented designers who do not have the resources to put on shows themselves — to stage a show. “It’s an incredible honor, it is absolutely fantastic,” Miller said about the venture. The fashion institute didn’t even know that by giving Eden the means to put on a show at one of the most prestigious events in the industry, that she would be making history. It ended up being a surprise bonus that neither they nor Miller expected! By offering a small place to bigger women at New York fashion week, Miller says she hopes to make a larger impact in a country where the average woman is a size 14. “I really wish that the lines that would qualify to be part of the tent show, but have been excluded because they are plus, can now be invited on the same grounds,” she said. Eden expressed her hope that plus size fashion wouldn’t be put in a special niche category moving forward, but that it would be considered a legitimate type of clothing like all the others. 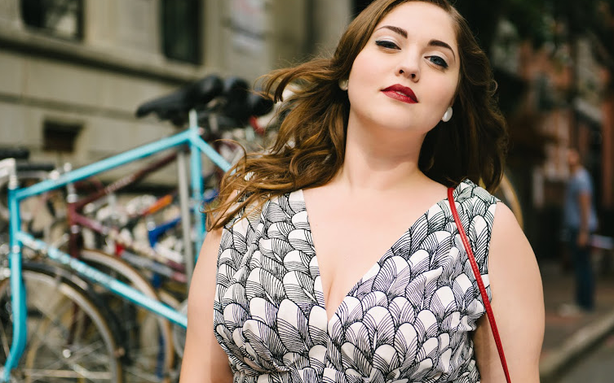 “But what I’m really looking forward to is, as plus-size becomes more legitimate, the weight of responsibility of opening that door becomes less and less, and it can be more about just the clothes.” she adds. Interestingly enough, we tried to search pictures of the runway show on the official NYFW website, an no luck. Not even in the designers section. Perhaps this is yet to be added to the site, but either way, Eden and Cabiria have been getting a TONNE of press, which the fashion industry cannot ignore and should not. Is the fashion industry finally moving in the right direction, or does it still have a long way to go? Our opinion is that the more we speak up and use our voices as consumers and influencers, the more they will listen! It is about time!! Yeah, they should be included in all the fashion shows otherwise they are only showing to part of the women!! Any business worth their salt should have realized this a long time ago! Why would you limit yourself to just skinny folks when there is a good market for people with meat on their bones?? There is money to be here for someone smart enough to go after it. Congrats to Ms. Miller~~go for it and bring others along for the ride~~and our advantage! Thanks. Pingback: Naomi Campbell Is Pissed! What Happened To All The Ethnic Models At NYFW? Pingback: New York Fashion Week Show With A Model In A Wheelchair? You Better Believe It! Pingback: Naomi Campbell Is Pissed! Where Are All The Ethnic Models At NYFW?